Which freshmen girls have been tearing up the track and field to start the indoor season? We've seen incredible performances across the board. Fore Abinusawa of Germantown Academy has a pair of national-leading times in her first few weeks. Sanaa Hebron of the George School has also been making plenty of noise in the sprints. 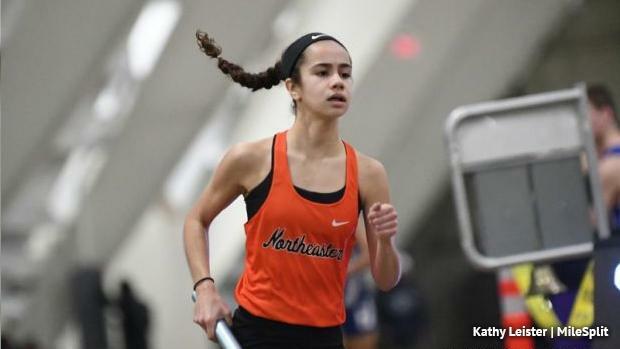 Marissa Pritchett (above) of Northeastern put down the state's fastest 3K time at Burdette.